Perfect cinnamon buns: light & tender on the inside, golden & caramelized on the outside and, best of all, quick to make. My first attempt at homemade cinnamon buns was a bit of a flop. I wanted to make a traditional recipe — the kind with a yeast dough that rises and produces a wonderfully tender and buttery roll laced with cinnamon — so I found this blue ribbon recipe on Epicurious, originally published in Bon Appetit. After reading over 150 favorable reviews, I had high hopes. I followed the recipe to a tee and the buns came out good, but not great. They also took forever to make — way longer than the recipe indicated. So, much as I enjoyed these little rolls, in my opinion, they were not worth the time and effort involved. Back at square one, I went to my trusty resource, Cooks Illustrated, and found a recipe called “Quick Cinnamon Buns.” The rolls were indeed easy to make and, although they lacked the subtle tang that only comes from yeast, they were still very good. My only issue was that they were tooth-achingly sweet and a bit too rich, so the next time I cut back on the sugar and butter. After a few more modifications, I had the perfect cinnamon buns: light and tender on the inside, golden and caramelized on the outside and, best of all, quick to make. My family actually preferred the taste and texture to the more complicated yeast rolls. Begin by making the filling, which is a combination of brown sugar, granulated sugar, cinnamon, cloves, salt and butter. In another bowl, whisk together the dry ingredients for the dough. Note that it’s very important to measure the flour using the spoon and level method: spoon it into a measuring cup and level it off with the back edge of a knife. If you scoop it into the measuring cup, you will have too much flour and dry buns. Add the liquid ingredients — buttermilk and melted butter — and stir with a wooden spoon until the liquid is absorbed and the dough looks shabby. Transfer the dough to a work surface dusted with flour. Dust the dough lightly with flour and knead until the dough is smooth. Pat the dough into a small rectangle, then roll into a larger 12-inch x 9-inch rectangle. Brush the dough with melted butter, then sprinkle the brown sugar topping evenly over top. Press the filling into the dough, then roll into a log. Then, cut the log into 9 pieces. Lightly flatten the rolls with your hand to pack the filling in place, then arrange them in a 9-inch cake pan lined with buttered aluminum foil. Brush the rolls lightly with melted butter. Then bake for about 25 minutes, until the rolls are golden brown. Use the foil overhang to transfer the rolls to a cooling rack. Let them sit about 5 minutes, then pull them apart. Make the buttermilk glaze by mixing the buttermilk, cream cheese and confectioners’ sugar, then drizzle liberally over the buns. These buns are best served warm out of the oven, but they can also be stored in an air tight container and reheated with excellent results. Enjoy! Adjust oven rack to middle position and preheat oven to 425 degrees. Line a 9-inch square cake pan with aluminum foil and brush with one tablespoon butter. Combine the brown sugar, 3 tablespoons granulated sugar, cinnamon, cloves and 1/8 teaspoon salt in a small bowl. Add one tablespoon melted butter and stir with a fork or fingers until the mixture resembles wet sand. Set aside. In a large bowl, whisk together the flour, remaining 2 tablespoons sugar, baking powder, baking soda and 1/2 teaspoon salt. Add 3 tablespoons of the melted butter and buttermilk to the dry ingredients and stir with a wooden spoon until the liquid is absorbed (the dough will be sticky and look shaggy), about 30 seconds. Transfer the dough to a lightly floured work surface. Knead, lightly dusting more flour as necessary, until just smooth and no longer shaggy, about 30 seconds. Lightly dust the surface again. Pat the dough into a small rectangle, then roll into a 12-inch x 9-inch rectangle, dusting more flour sparingly if necessary so the dough doesn't stick to the rolling pin. Brush the dough with 1 tablespoon of melted butter. Sprinkle the dough evenly with the brown sugar filling, leaving a 1/2-inch border. Using your hand, press the filling firmly into the dough. Starting at the long side, roll the dough, pressing lightly, to form a tight log. (If the dough sticks to the surface, use a sharp knife or dough scraper to release it.) Pinch the seam to seal. Roll the log seam-side down and, using a serrated knife, cut it evenly into 9 pieces. Turn the pieces over on their flat sides, and slightly flatten each piece with your hand to seal the open edges and keep the filling in place. Place the rolls in prepared pan and brush with remaining tablespoon of butter. Bake until the edges are golden brown, 23-25 minutes. Meanwhile, make the glaze. In a medium bowl, whisk together the cream cheese and buttermilk until thick and smooth (the mixture will look like cottage cheese at first). Add the confectioners' sugar and whisk until smooth glaze forms. When the buns are done, use the foil overhang to lift them out of the baking pan and onto a wire rack. Let cool for 5 minutes, then carefully separate the buns, using a knife if necessary. Drizzle the glaze evenly over the buns. Serve warm out of the oven, or store in airtight container and reheat. Our family loved these quick cinnamon buns! We woke up to a surprise spring snow day, so this was a great option to get a yummy breakfast treat in the oven quickly, without waiting for yeasted rolls to rise. This dough was really easy to work with. Will definitely make again! Hi Jenn from another Jen! I made these today for my daughter. She just got home from school and sampled and loved them. Thank you again for a delicious and easy recipe. I had an 8×8 pan and they fit great. I don’t have a 9-inch square cake pan can i use 9×3 ? Hi Fanny, I would just fashion a 9×9 pan by shaping the foil in a smaller square in the 9×13-in pan. Hope that helps! Can I make these the day before & bake the next morning? Hi Yvonne, I worry that the leavening agents will lose their “oomph” if not baked right away. You’re better off using a yeast-based recipe for overnight cinnamon rolls. Sorry! The best and easiest cinnamon buns I have ever made! Decided these will be our Christmas morning treat! I may have made these too soon. Wondering if it’s ok to freeze them AFTER I’ve baked them and before I ice them? Perfection! My first time making homemade cinnamon rolls and my whole family loved them! Perfect combination of soft and crispy. Followed all your helpful instructions to a T, with the slight detour of making homemade buttermilk with milk and vinegar. We love you, Chef Jenn! My six and three year old kids always look forward to your recipes. can the icing glaze be made without cream cheese? Hi Marsha, I think the glaze is best with cream cheese. That said, one reader commented that she used Greek yogurt in place of the cream cheese and was happy with the result. (Please keep in mind that I haven’t tried this myself.) I’d love to hear how they turn out if you try it! 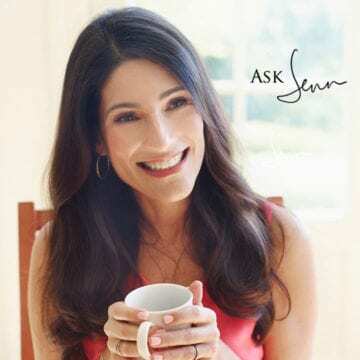 Jenn, is there a way you could add reviews or questions regarding your cookbook recipes? I would love to hear what others think of some of the recipes and sometimes have questions. In this case, I want to make the cinnamon swirl bread but only have two 8×4 loaf pans. I would rather not buy a loaf pan just for the recipe. could I use two 8×4 pans or could you advise on reducing the recipe? Hi Janet, I’m not sure that we’ll be adding that functionality to the blog, but if you ever have any questions about the cookbook recipes, feel free to email me at [email protected]. Always happy to help! And regarding the cinnamon swirl bread, I think you could probably get away with using two 8 x 4-inch pans and making slightly smaller loaves. They’re likely to take a little less time in the oven, so make sure you keep a close eye on them. Hope you enjoy! Thank you for your response Jenn, always much appreciated! I made these for breakfast on Thanksgiving day. I followed the recipe exactly and had no problem with sticky dough. They were easy and delicious! Very disappointed. Crust comes out white and dry (not golden), tough on the outside and barely cooked inside. Waste of time and ingredients. I wanted to update my 1star review to 3 stars but unfortunately, I can’t edit nor can I delete the older one. What I did is I put the buns in a container with plastic wrap for 16+hours and they finally became a little softer so my husband liked them. He said they were very good. So sorry to hear you had a problem with these, Maxine! The dough should be a bit sticky, but you should still be able to work with it. Is there any chance you measured something incorrectly? These were yummy and fast! Mine cooked in a few minutes less time and had a bit of a crunch around the edges. A great substitute for more time consuming yeast rolls, though I do prefer the yeast dough. My kids were happy. This is a wonderful modification of the Cooks Illustrated recipe, which I have also tried. You’re right, those rolls are too sweet, but I also found the dough to be way too wet. I ended up adding quite a bit of flour during the kneading process, and although the rolls were still good, they were leaning toward being tough. You’ve added flour to the initial mixture, which took away that wet stickiness and let me knead just the right amount of time. This time, the rolls were soft and tender inside. Fabulous! Thank you! Can you prepare ahead of time and refrigerate then pop in oven to cook? Hi Nikki, Unfortunately, these cannot be prepared ahead of time because they won’t rise properly. Sorry! Just made these – Amazing!!! Added a bit more cream cheese to the icing to make it cheesier. My family couldn’t believe these were homemade!! Thanks for the great recipe. This is the second one of yours that I’ve made – first were the lemon squares. Also amazing!! Love how accurate and detailed your recipes are and love the step-by-step visuals! Can’t wait to make many more!! Thanks for this! I have made the Cooks Illustrated version many times and agree completely about how sweet they are. Eager to try this! Made these this morning! Measurements were perfect. Buns browned nicely after the minimum cook time but next time will keep buns in for the extra 2 minutes for the centres. Tasted fabulous. Texture reminds me of ikea cinnamon buns but these are 100 times more flavourful and softer. Will definitely make again. No rise time!!! Note that some ingredients are divided. I put the 1/2 tsp of salt in the filling instead of the 1/8 and ended up making four times the filling for later use. Oh well, shouldn’t be a problem. Thanks for doing all the recipe tweaking for me. This one’s a keeper! Hi, do these need to be stored in the fridge because of the buttermilk & cream cheese ? How many grams of AP flour should you use? Hi David, I just added all the metric conversions for this recipe. Hope you enjoy! Thanks, that is a great help. My kids said these were “better than chocolate”! I will definitely make them again, but I am curious if I want them to be a little lighter, less dense would I manipulate the dough less or more? Hi Julie, Glad the kids enjoyed them! For a lighter result, you would manipulate the dough less. You might also try replacing the all-purpose flour with cake flour. Great recipe! Now question… can I use pastry flour or cake flour or bread flour instead of all purpose flour? If yes what would be the end result? Hi Leon, Cake flour makes more delicate baked goods and bread flour makes chewier baked goods. I recommend sticking with all-purpose for this recipe for the best texture. Made these last weekend – really easy and quick to put together; great smell when cooking. Mine did not look as neat as yours, but were delicious. Thanks! So delicious and easy to make. My family prefers this type of cinnamon roll. Thanks for a great Saturday morning treat! I’ve made many of your recipes and loved them all up until this one, which I felt was just okay, perhaps too sweet and just not what I expected. I know everything is subject to personal taste and I would advise others to give these a try, maybe they will love them. But I just don’t think this is a slam dunk like all of the other recipes of yours that I have tried. for unbleached all-purpose flour. Glad I noticed this as I need to add this to my grocery list. I’m wondering if the people with the “stickiness” problems were using bleached all purpose flour and if that could be the reason? Thanks for the recipe! Hi Karen, Sorry to hear you struggled with these. I’m wondering if maybe you mis-measured the flour and didn’t use enough. Is that a possibility? I used the exact measures for all ingredients, but I’m trying the recipe again and I’ll report back to you with my results. Thanks for getting back to me so quickly, BTW! Hope you have more success the second time around! How do you measure tablespoons of butter or cream cheese if it is not marked down on the package. Do you measure after it is melted? This is a very nice easy recipe. The only thing I would mention is to leave the cloves out. Even the small amount called for is quite noticeable. I dislike cloves so that ruined the first batch I made for me. Otherwise, this recipe is one I’ll use often in the future. If I wanted to make these ahead of time, could I roll and wrap the log in the evening and bake in the morning or do you think the filling would get pasty? I look forward to trying these! Please ignore the above question. I just read some of the other reviews and you answered already. Thank you. Absolutely delicious. My family would not comment because I’m a diabetic but, as usual, after they were devoured they couldn’t stop raving about them. And after everyone left for work, I stole one. I had no confectioners sugar so made a frosting out of cream cheese, milk and maple syrup. Hi Jenn! Can everything be made the night before and baked off in the morning? Should it come to room temp first? Or would you not recommend that? Thanks!! Hi Renee, Unfortunately, these cannot be prepared ahead of time because they won’t rise properly. Sorry! I just tried making these and they turned out great! Thank you so much for an easy homemade recipe! My kids loved them! I will definitely make these again! Thanks! I made this cinnamon rolls this morning to surprise my hubby since he loves these kind of rolls; they turned out ok; However, I had a few problems with the procedure, I was doing fine (I think) until I had to roll them into a log, it was so sticky it adhered to the counter so I had to put more flour so that I could roll it (I had to force it literally). Also, after I cut them, every piece was kind of soggy and it was hard to press them down so that they could have the shape of a cinnamon roll. After cooking them for 23 minutes, they were a little bit burned on top and the inside was a little soggy, I even thought they were still raw but they weren’t. What did I do wrong? I am new in making these kind of rolls and I really want to learn how to make them right 🙁 Thank you in advance. Sorry to hear you struggled with these Rita! I’m wondering if maybe you mis-measured the flour and didn’t use enough. Also, was your rack set to the middle spot in your oven? If not, they may have baked a bit unevenly. Have never made cinnamon buns without yeast, so I was intrigued. You weren’t kidding about quick! These turned out really well. Enjoyed the cream cheese glaze. Will definitely make these again, when I don’t want to make the yeasty ones. My all time favourite cinnamon buns are made with Yukon gold potatoes. Are time consuming, but worth it. These were incredible! Better than anything we can purchase locally. SCRUMPTIOUS! Also, they are wonderful with snicker ice cream! I made these today in a spelt, dairy-free version (due to allergies) and my kids and I loved them! My 6 year old wanted me to send you a message thanking you, and even reminded me as she was tucked into bed. I cannot wait to make these! I only have light brown sugar, not dark brown sugar as the recipe calls for. Will that work out ok? Okay ~ these look crazy restaurant delicious!! I have only tried to make cinnamon buns a couple of times in the last decade with such dismal results that I gave up. But I re-energized after seeing this recipe and I’m going for it!! I can’t remember if commented on this recipe before and frankly I don’t care because it is so worthy of another comment!!! I had a hungry crew cutting down trees over the weekend and I know this recipe is amazing from making them several times before…Well one of the comments was “These are the best cinnamon buns I have ever had!” So I made another batch the next day  The consistency is amazing, the buttermilk dough and cream cheese glaze are a perfect pair! And the best part….they are in the oven, baked and ready in like 40mins!! Or maybe because I’ve made this recipe so many times….They are just so easy and come out perfect every single time! The only changes: sometimes I make six buns instead of nine… I was feeding some big guys, so I thought they’d appreciate a bigger bun! I have also used Jenn’s Toffee Glaze from the Sticky Banana Cake recipe instead of the cream cheese glaze, pure heaven! Honestly…if you haven’t tried this recipe, it is amazing, quick and you probably have the ingredients in your pantry! Perfect Christmas morning treat! Thanks again Jenn, your site is just amazing! I love to make breads and other sweets. I do not buy any baked goods from the grocery store, when I make my own I know what goes into it. Your cinnamon roll recipe looks delicious and I will be making it today. There was one other I found that I liked but I like to try different recipes. I have never tried to make cinnamon rolls without yeast so this is an interesting recipe. Thank you so much for sharing and I love your site. So many delicious recipes! Happy Holidays! About to make these for the second time. I don’t have time to make yeast rolls, so glad to have this option! This has got to be one of the best desserts, I’ve ever made!! Can’t wait till Christmas so I can make it again. It’s very fluffy, light, sweet, has a bit of sourness to it, but in the most delicious way possible!! I didn’t change anything out of the recipe. These look amazing! I LOVE cinnamon buns! I stopped buying the canned ones bc they always hurt my tummy! I love making bread but don’t have hours before breakfast to feed my 5 hungry children with yeast cinnamon rolls so I was super excited to find this recipe! Can’t wait to make them! One question though, if I double the recipe would you recommend making 2 seperate batches and using 2 pans or do you think one batch and one pan will work? Thanks! Hi Sara, I would use two separate pans. Hope you enjoy them! I made these this morning and they were very tasty. I prefer a yeast cinnamon roll over the texture of these, but I do NOT prefer making them. Such a long process. This recipe is very easy to follow, has the perfect amount of sugar & cinnamon and my boys devoured them. Thanks, Jenn! I just made these. They are extremely delicious. Everyone fell in love. Firstly let me thank you for making my day million times better! As a cinnamon addict I was dying to finally make my own rolls and there I found it:) best recipie ever:) just happened that in the meantime I moved to Qatar and they don’t sell buttermilk over here …:( is there anything I can replace it with? Thanks for this recipe, I’ve made it twice in the past 10 days for company with great success & rave reviews! It is quick & easy, no rising time (yay!) and I love that it makes only 9 buns not too many — I love homemade cinnamon rolls (This recipe is my favourite flavours http://www.twopeasandtheirpod.com/cranberry-orange-cinnamon-rolls/) but always time consuming to make them homemade. And I tried the shortcut of Cinnabon can (for research purposes of course) and it tasted terrible – too many additives and tasted strongly of baking powder – ugh! So I’m so glad to have found this recipe!! * used the Two Peas and their Pod filling idea: http://www.twopeasandtheirpod.com/cranberry-orange-cinnamon-rolls/ by mixing zest of 1 orange with 3 tablespoons of Granulated Sugar and sprinkling half on top of the Brown sugar (no granulated sugar) + ground Cinnamon + ground Cloves mixture then sprinkling a handful of Dried Cranberries on top then roll! * cut the dough log and dipped each cut side (both cut sides) into the orange zest sugar rub then put in the pan and follow your instructions. * Mine bakes for 28 minutes. * I reduce the confectioners sugar to about 1/3 cup and next time maybe will mix in orange zest. 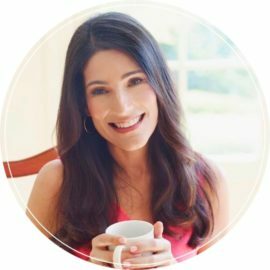 My adjustments were so tasty – I reccomend you try it out too. When I first tasted the bun I was expecting the exactly the same as a cinnamon roll in terms of texture – it is good and about 98% similar, not as airy as yeast cinnamon buns but that’s to be expected – not too bad especially given the major time saved! I look forward to trying out different fillings like Stewed apples And a Maple Syrup glaze. Mine didn’t last long because my company devoured then in 1 day! Yes agree best eaten warm but also good reheated in the microwave for less than a minute (obviously dependent on one’s microwave power) or in a low heat oven or toaster oven. Also my other taste testers preferred not to re-heat and still enjoyed it at room temp. Thank you again for the helpful photos detailing the steps! Look forward to trying out some more of your recipes! I’ve fixed these every time I’ve had company spend a few days. There are never any leftovers. Everyone loves them. Can I substitute the buttermilk for skim milk? Hi Mindy, Yes, that should work fine. Could this be made Gluten Free? My daughter has Celiac Disease and we eat GF diet..
Hi Gretchen, You’d have to use a gluten-free flour. Can I make these and freeze them before baking? Then take out what is needed to bake? If not, why? Hi Catherine, Unfortunately that won’t work for this recipe because the leavening agents are activated as soon as you add the wet ingredients; you need to get the buns in the oven right away or they won’t rise properly. Can you substitute the buttermilk with whole milk? Delish! No cow milk allowed here, so I substituted a vegan-buttermilk (coconut milk+vinegar), and, while a bit crumbly, these still were fantastic. Light and sweet, flaky yet doughy, with great cinnamon flavor. For the glaze I used a butter/olive oil blend, water, vanilla and confectioners sugar. I’m making these for thanksgiving morning! Can’t wait! Would it be okay to prep them the night before in the pan, refrigerate overnight and bake in the morning? Hi Lisa, Unfortunately, these cannot be prepared ahead of time; they won’t rise properly. Sorry! Hi there…the cinnamon bun recipe is one I will attempt soon! My question is if it is fine to use regular all purpose flour for the recipe? Hi Diana, Yes all-purpose is the flour to use. Can I bake these the night before and reheat in the morning? If so please give me the oven temp and how long to reheat. Hi Mary, They are best fresh out of the oven but it’s fine to bake to the night before. I would reheat in a 300 degree oven for about 15 minutes. First time I’ve tried buttermilk glaze, really yummy. Since I don’t have very good luck with making any kind of bread, I had my doubts but thought I would try this recipe. Absolutely fabulous! So easy and delicious. Family loved it. My family and I absolutely LOVE cinnamon buns, so I had made these the day of Christmas Eve and had them Christmas morning with the in laws. They are amazing! Thank you for every single recipe you post. They are all amazing- elegant but very easy. perfect for a family treat and better for a brunch for more than an immediate family. I especially like them with out nuts!! My favorite recipe. I doubted that I could make them but they turn out perfectly every time. Sometimes I add lemon zest to icing. A big hit with my grandchildren. I made these twice already! They are perfection and your directions were superb. These are the perfect cinnamon rolls. The right amount of cinnamon filling – so many cinnamon rolls skimp on the filling. I am always going to try a cinnamon roll recipie…but always end up buying frozen ones and bake…but I am definately going to get up the courage to do this recipie. Thank you so much for what looks to be an easy recipie that I’m sure will be delicious. Try adding cinnamon chips for extra flavor! Needed to add approx 3/4 cup extra flour as dough was too sticky to work with. Wanted to refrigerate overnight and bake in morning, seemed a little dense. Probably should have given more time to come to room temperature before baking. Any recommendations for overnight refrigeration method? We loved the clove addition to the filling. Made these on Sunday (Father’s Day)…they were a huge hit and I wouldn’t change a thing to the recipe. Even fussy husband who loves Grandma’s cinnamon rolls said that these were terrific. And they were easy to put together first thing in the morning (Grandma’s cinnamon rolls have to rise TWICE before baking, but not these). Delicious! Thank you so much for sharing! Made these rolls over the weekend! They turned out great – flakey, gooey, and delicious. I really enjoyed how you posted pictures at different states of making the dough so I knew what to look for. Definitelly will be making them again. Thanks for posting another go-to recipe! Made this over the weekend. So yummy! just made these and had a little bit of a mess on my hands – literally. My dough would not come together and was very sticky. I added more flour and then a little more and finally was able to get it to a place I could knead it. It was a humid night here and I don’t know if that had any effect on the dough. The finished product was a little dense, which I expected due to the extra flour but the flavor was good so I will try again. I love this recipe. I don’t have to go to Cinnabon anymore. It was so easy and a wonderful way to start the day. I made these rolls recently and thought they were very quick to put together. These look so easy! I cannot wait to make these this weekend. I’ve always been both intrigued and terrified by the idea of making cinnamon rolls. This post gives me hope. I can’t wait to try it! I have made these twice now. In one week. They are truly amazing and will come out exactly like the photo thanks to Jenn’s easy instructions. The second time I made these, they were Hoovered up by 8 teens at a slumber party within seconds. I had a not so satisfying canned cinnamon roll experience lately and I was just looking for how to make my own – thank you, your pictures are great! Easy to make and tastes sooo good!! I made these cinnamon rolls at the last minute when my family was in town. They were great and came together so easily! I think I should have kneaded them a bit more because it wasn’t a smooth dough (so the texture of the cooked rolls wasn’t very smooth) but the taste was great! I also made 12 smaller rolls in a slightly larger pan (there were 6 of us so I wanted to make sure each person could have up to 2 rolls). My husband and I enjoyed the few leftovers for breakfast the next morning. review for boos cutting board entry- I really love that these are a quick cinnamon bun, you can make them spur of the moment and u dont have to get up at 5 am to make them for breakfast. I also really like the simple ingredients list, all of the ingredients are pantry staples. My only hesitation is they look more dense than other cinnamon rolls (probably because they dont need time to rise) and I like fluffy flakey cinnamon rolls. Can’t wait to try…haven’t had much luck with non-yeast recipes. LOVE the step-by-step photographs!! These look interesting. i just made a very laborious recipe form the Baking with Julia book for sticky buns . i need to try something less time consuming. Love how great your step by step directions with amazing photo’s make it easy to prepare. Made these over the weekend along with your chai banana bread and both were a huge hit! Will definitely make both recipes again. Does anybody know if I can make the rolls the night before and then bake them off the next morning?? Hi Sloan, I’m not sure you’d get the same rise on the rolls but I honestly can’t say for sure because I haven’t tried it. Sorry I can’t be more helpful. How delicious do these look! Definitely saving this recipe for sure. I made these this morning for my crew and not only were they easy, but they looked amazing, smelled amazing, and tasted heavenly. The dough was light and had a good flavor complimented by the rich sweet filling. Thank you once again for a recipe with an excellent outcome made with ingredients in my pantry and refrigerator. I made these this morning and they came out BEYOND perfect. Thank you for another fantastic recipe! Just made these for my husband’s birthday breakfast! They are really good! A little dense for my liking, but that was maybe user error! Will definitely make again. So glad you liked them, Erica! If you add too much flour during the kneading and rolling process or over-knead the dough, they could become a little dense. Try to add the flour sparingly (it should be just dry enough to work with) and have a light hand when kneading and rolling the dough. Hope that helps and thanks for leaving a comment! Just made with 14 yr old son– these are AMAZING!!! House smells like cinnamon and clove, buns tender and moist! We doubled the glaze because we spread and didnt drizzle. 😉 Thanks again for the late night snack that won’t make it til the morning!!! So glad you liked them as much as we did, Vikki! Thank you for a wonderful Sunday morning breakfast! My boys and I enjoyed these in the back yard this morning. Unfortunately when I went to make the glaze I found out my cream cheese was no longer edible. So I used greek yogurt instead and they still came out tasting wonderful! These look wonderful. I’m definitely adding this recipe to my weekend todo list. This look delicious. I haven’t made them yet. I was wondering if after the dough’s been cooked, do they taste like biscuits? I did not think they tasted like biscuits, more bread-like. They were good! Hey Cindy, Your instincts are right because it is a biscuit-like dough but they don’t taste like biscuits at all. They’re more bread-like than anything. Hope you enjoy! I, too, love cinnamon rolls and have difficulty with the yeast recipes. I can’t wait to try this recipe! It looks almost too good to be true. Thanks! All your recipes look amazing, but this one, being the day before the weekend just hits the spot. And without yeast involved, it will probably make it to my favorite recipes binder. Thanks again for taking the time to share with us and shorten our learning curve! Love every week! These sound awesome. I may make them this weekend. These look fabulous and I do love Cooks Illustrated… I can always depend on their recipes and techniques.